Have you ever wondered what it would be like to give yourself 2 weeks to learn something new, to give yourself space and time to do just that. Enter a new world, Explore your Energy and Develop Your Potential with the Intensive Kinesiology Foundation Course. Immerse Your Self in a new and amazing learning experience. This First Ever Intensive is occuring to coincide with the 30th Anniversary year of ASK – Association of Systematic Kinesiology. (The Founder Mr Brian Butler started the Association back in 1985 and it gained charitable status in 1988). As I was one of his students, I am delighted to offer you this new and exciting way of learning. Be part of this experience in Systematic Kinesiology here in the heart of the Scottish Borders during July 2018. 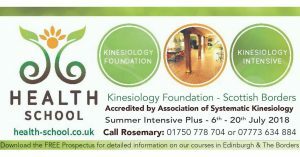 I am delighted to now bring SSAK (Scottish School of Advanced Kinesiology) to you. This means I can offer the full 6 module Foundation Course and also the Full 12 module Diploma to take you to Professional Diplomate status. I will guide this group through the Kinesiology education programme in a passionate and energetic way. By being part of it, you will benefit from my 20 years of knowledge and experience since I started my incredible journey in this modality. You will get the chance to completely immerse yourself in the art of Kinesiology with a small group in an amazing location here in the Scottish Borders surrounded by the small vibrant town of Selkirk and the beautiful rolling hills of the Borders. Start your day doing one of a variety of activities, yoga on the terrace overlooking the loch, a colour walk through the grounds, fitness on the lawn or meditation in the house or terrace. Then spend the day developing your skills and becoming confident in the techniques of Systematic Kinesiology. This is your chance (and the only one of it’s kind that I know of!) to learn this modality in this way. Its also gives you the opportunity to find out what you are actually capable of, which is often far more than what we think, here in the gentle supportive countryside of Scotland. You will learn the art of muscle testing, numerous techniques and become practiced at doing this on a daily basis so you become confident and proficient. You must be willing to muscle test others and be tested and do the corrections. Kinesiology is done through clothing and easy to move in clothing are recommended. (skirts and dresses may not be appropriate for some techniques) Begin your journey into learning Kinesiology right away. These weeks will be exciting and intense. Be prepared to completely devote yourself during this time, make it special and unique for you and each other person on the course. We will be doing some special events also to create vibrant experiences and memories of our time together. Full attendance of all days. There is an Early Bird Price until the 6th June 2018. The Intensive is a smaller group so more time is spent with you and you get the extra time with me and also doing extra practical work together. Secure your place to avoid disappointment later. Anyone who wants the experience of their lifetime. Anyone who wants to learn more about their body. 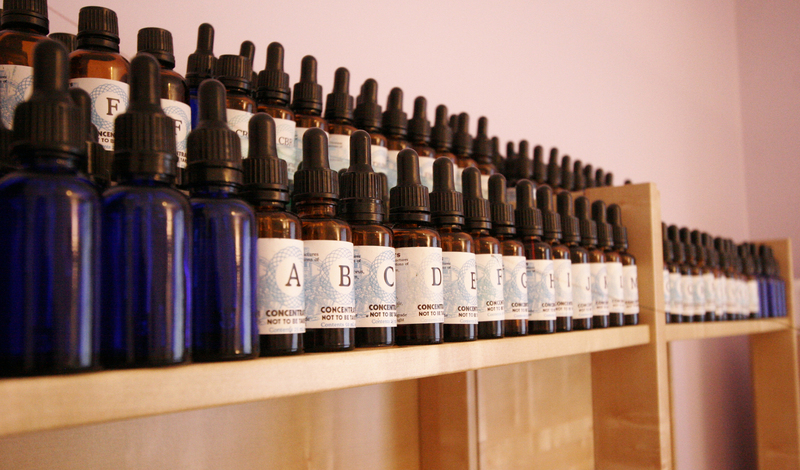 Practitioners in other therapies who wish to add Kinesiology to their skill-set. "I have gradually gained in strength as chronic symptoms lessened and enjoy up-hill walking again"!